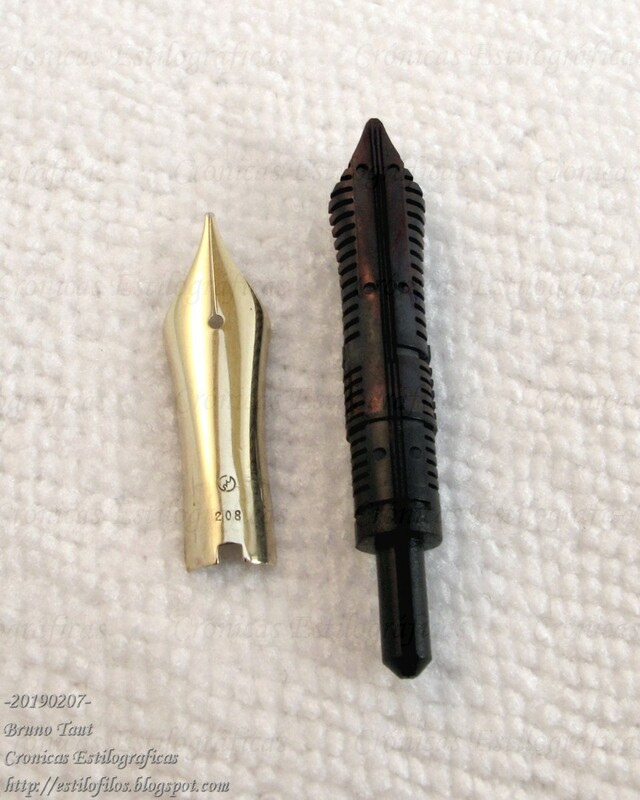 As I had said before, Ôhashidô pens, as of now, implement Sailor nibs of sizes medium and big (in Sailor terms). These nibs are engraved in origin, at the Sailor's plant in Kure (Hiroshima), with the Ôhashidô imprint. In fact, Ôhashidô occasionally implements nibs that are not available on regular Sailor pens—big size nibs made of 14 K gold, and nibs labeled as S –soft– as opposed to the omnipresent H –hard– nibs. An Ôhashidô nib labeled as S, soft, that in actual terms is very rigid. There are, usually, two other elements carrying some form of identification on Ôhashidô pens—the clip and the cap band. If present, as there are Ôhashidô pens without those features, they carry the inscription “JSU”, for “Japan Sendai Uehara” on the clip, or "OHASHIDO SINCE 1912 JSU" on the cap band. 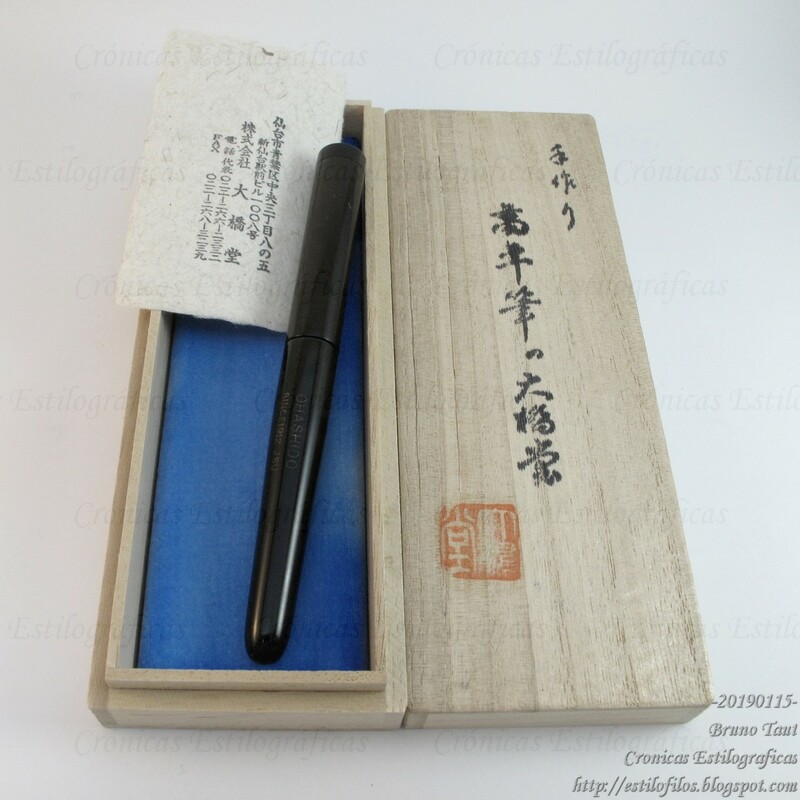 However, all those signs might not be there, or there might be some others—such is the lack of system in the production of Ôhashidô pens. Two examples of these pens I am showing today—one with very typical features; the other, right the opposite. Exhibit one. Note the engraved clip: "JSU". 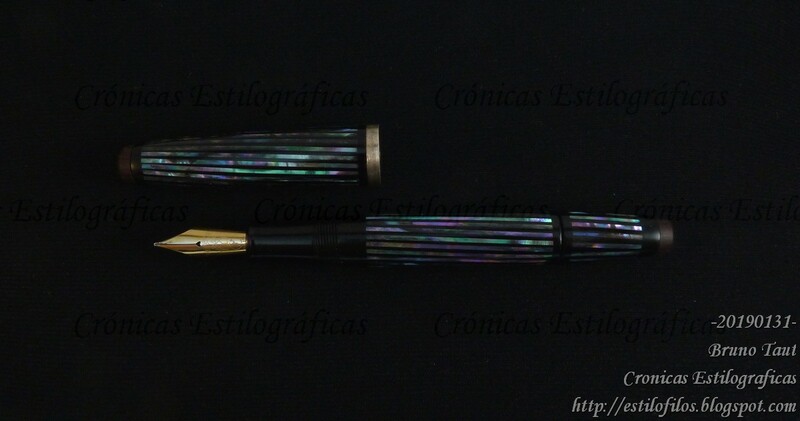 The first one is a pen finished in unpolished urushi. The clip is also engraved with the usual imprint: "JSU". The nib is large and carries the usual inscription “SPECIALITY / ÔHASIDÔ / SINCE 1912 / J.S.U / 21 K”, although without any statement about the nib point. The differences between "Ôhashidô" and "Ôhasidô" are the result of the lack of consistency among Japanese on how to transliterate Japanese names. The second pen has none of those usual identifications—the nib has no engraving save a hidden JIS mark and and manufacturing date, and there is no clip. But the barrel is engraved: “OHASHIDO / SINCE1912 J.S.U”. These two details are very unusual. 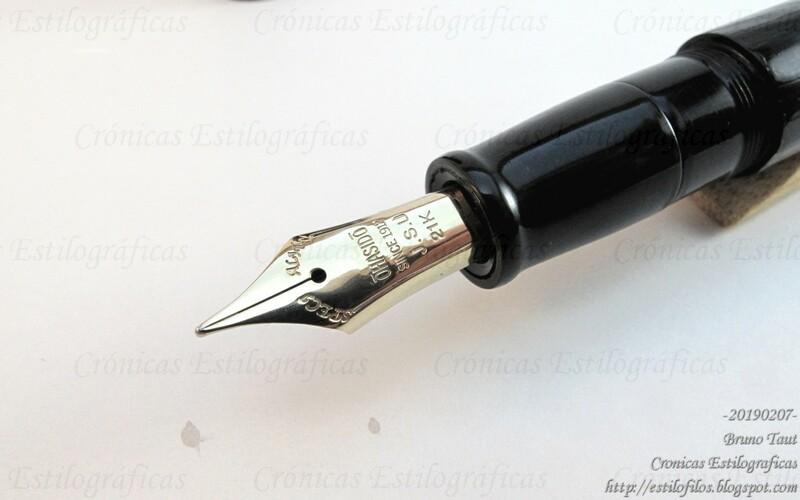 As the nib itself is—it is certainly a Sailor, but a very soft one. 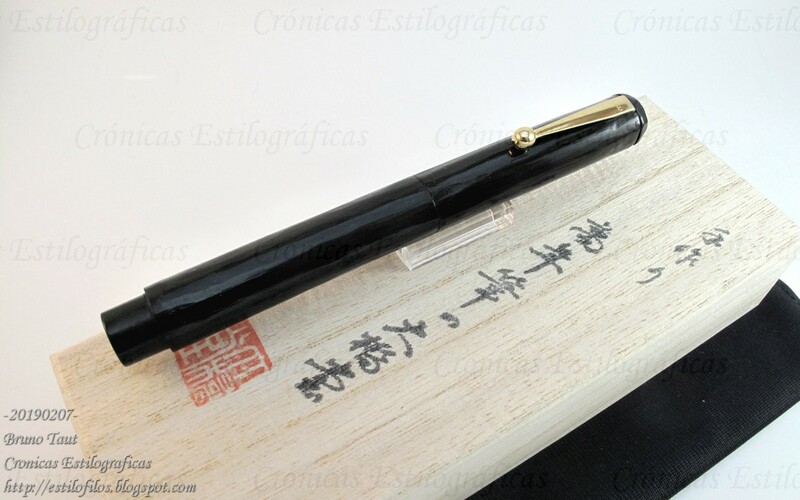 It is a medium size made of 14 K gold (according to Mr. Uehara), and the nib point is M.
Unusual engraved body: "OHASHIDO / SINCE1912 J.S.U”. 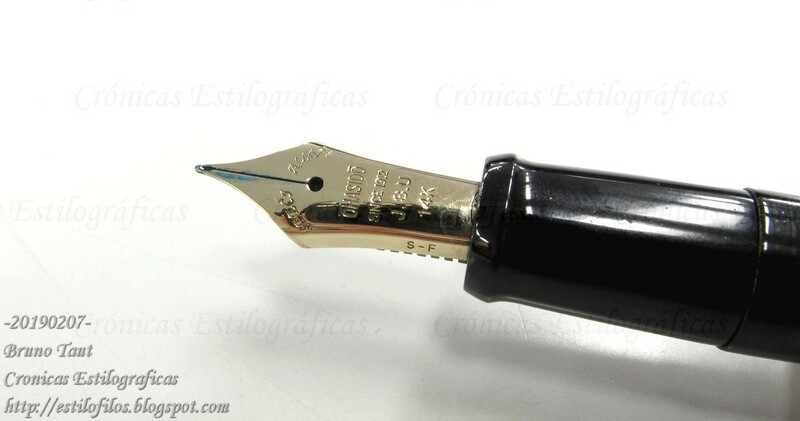 Unusual plain nib, save for the JIS mark and the manufacturing date. Interesting pens, but the lack of systems in the production process is a problem if the potential customer were looking for a defined –and unnamed- model. But this might be part of the success recipe of Ôhashidô's.